At BRUS we offer a monthly tour & tasting. Every last Saturday of the month at 15.00 you’ll have the chance to pre-book an introduction to the BRUS brewery for 245 DKK per person. 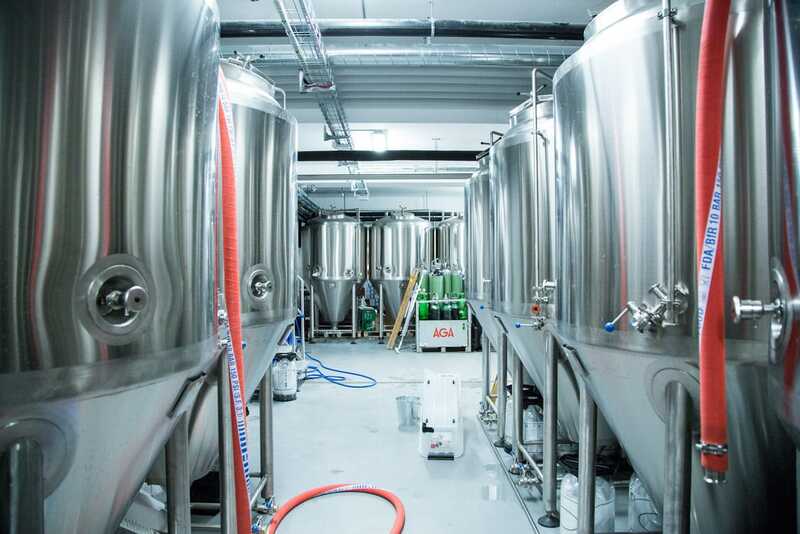 Here you’ll be shown around the brewery, learn about brewing processes and get introduced to the raw ingredients of beer. 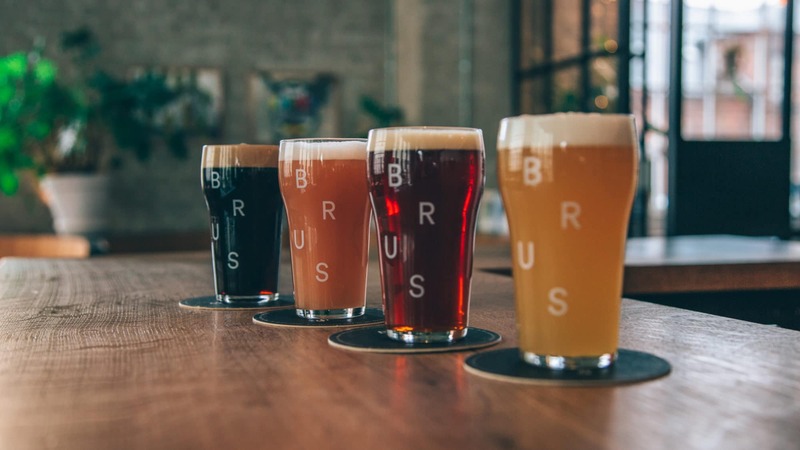 On the tour you will have a tasting of four different beers (10cl) brewed at BRUS and get a good sense of different beer styles. Write brus@tapperietbrus.dk with number of guests, names and the date you would like to visit the brewery. Show up on the day no later than 15 minutes prior to the tour start. Open spots that haven’t been redeemed will be released for other guests interested in the tour. You can also book your own private tour and tasting at BRUS, perfectly suited for a company excursion, polterabend or birthday gift. Private tours can be booked on weekdays from 17.00-20.00 and weekends from 12.00 – 18.00. You can book for groups of minimum 10 and maximum 2o people. If you’re more than 20 people, we will make two tours. 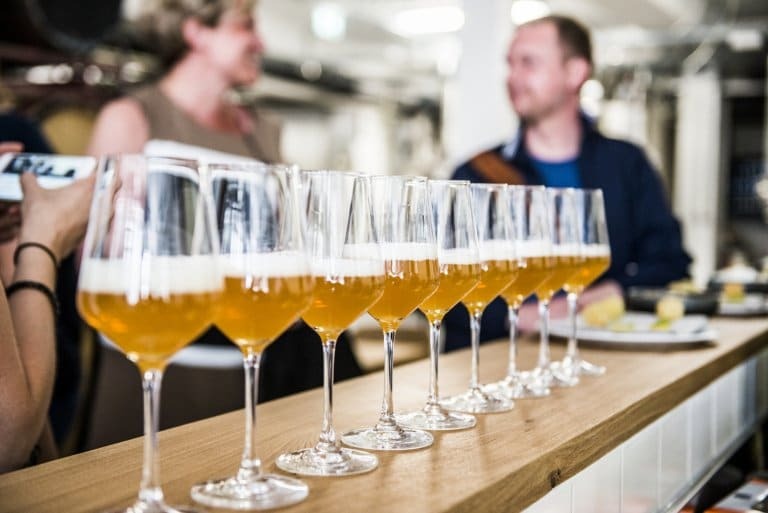 The basic tours is 45 minutes with tastings of four beers for 245 dKK. If you want more tastings, this will be added to the price. Please write brus @tapperietbrus.dk for info, questions and bookings. NB: Please note most tours are done in English as our staff has come to work with us from all kinds of exotic places. Duration of normal tours are around 45 minutes.